//We have encountered an <employee> tag. 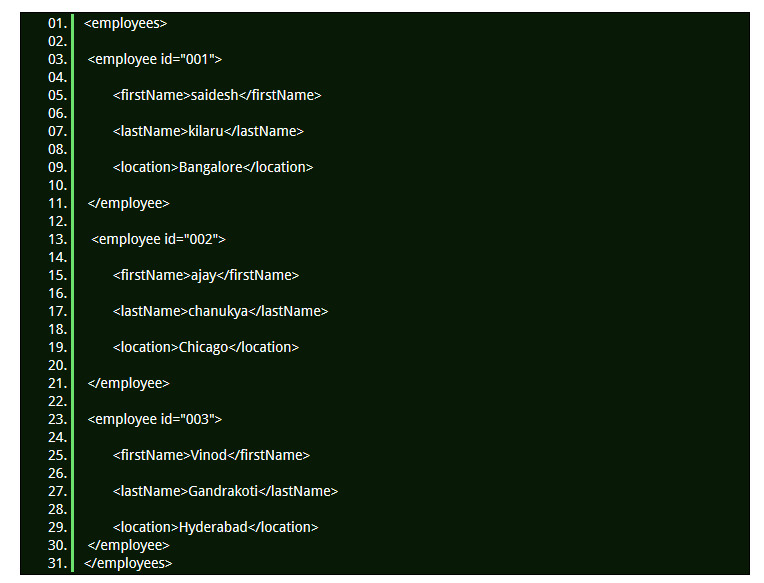 //Identifying the child tag of employee every employee . //Printing the Employee list by using for each loop.